I’m off on holiday for several days over the Easter period, so have prepared a bit of a series of Cornwall Park and One Tree Hill. I won’t be able to respond to comments until next week, but until then, thanks ahead! Todays image ‘Arrival of the Sun’ starts us at the bottom of the hill, in Cornwall Park. Early morning, the sun was a beautiful golden colour, and the shadows still long across the landscape. Gifted to Auckland by Sir John Logan Campbell (although prior to settlers Maori land), Sir Campbell is buried on the summit of One Tree Hill, looking down upon the park. 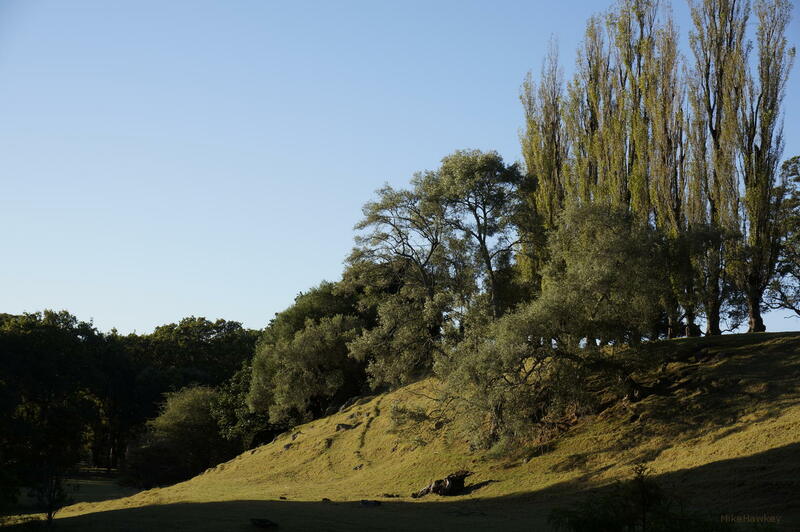 A great place to visit for anyone with a free half day in Auckland, One Tree Hill and Cornwall Park offer a relaxed, and scenic stop just out of the city centre. Shot on the Sony Nex with 18-50mm lens and edited in Gimp.